*VisceraEyes is helping me co-host this game. Any questions can be directed towards him or myself. 1. Voting is done in a separate thread, located here. Please keep votes there, and only vote there. Do not PM me your vote. 6. Voting is mandatory. You may (NOT) abstain. This game is open to anyone. Signups will remain open until all 21 spots have been filled. This game uses replacements. If a player is modkilled during the designated time, then they will be replaced by a player on the replacement list. PMs are (not) allowed in this game. This game will follow a (24 hour night/48 hour) day cycle. In case I am not able to post around deadline, any votes after the 48 hour mark will not count and the game will be put on halt until the night post is up. Currently the deadline is time, but that is subject to change. Actions/votes will be accepted up to and including the posted time, but not after. If you ask to be replaced or get modkilled I will ask for a ban. If you are able to find your own replacement (BEFORE replacing out) and have a valid reason for replacing out, I will not request punishment. You may consult players on the replacement list for this purpose. Please note that I will be following the spirit of the activity requirement, not the rule. Posting “lol” or something along those lines to circumvent the posting requirement will still result in your modkill. To be as unbiased as I can in this I will be consulting a group of Mafia forum members not signed up for the game to determine whether such behavior warrants modkilling. This is a semi-open setup. All possible Town and Mafia roles are listed below. None of these roles are alignment specific (they may be Mafia or Town). Not all of these roles are guaranteed to be in the game but all roles in the game are guaranteed to be from this list. Who gets what role was generated by random.org. I used the first result that popped up, no changes. So truly random . Reveals alignment not role, guaranteed to be sane. Protects target from 1 KP. The Medic will not know if their target was hit or not. Protects target from 1 KP, roleblocks target. Roleblocks do not stop Mafia KP. Targets are not informed that they are Roleblocked unless they attempted an action. Hits target for 1 KP, has one shot. Negates the first action to target them and kills the person who targeted them regardless of protection, only works once. Roleblocks negate this action. Follows their target receiving the name of anyone their target visits, does not know what their target’s action was. Has an anonymous extra vote used by PMing the host. Roleblocks prevent this extra vote. Has two lives. Will die if Roleblocked + hit on the same night. Causes their target to appear as the opposite of their standard check when investigated by Detectives. Cannot frame themselves. Appears as Town to all Detective checks. Roleblocks their target. Roleblocks do not stop Mafia KP. Targets are not informed that they are Roleblocked unless they attempted an action. Appears as Mafia to all Detective checks. Will appear to visit a random player each night when targeted by a Tracker. If you are confused as to what each of these roles does, don’t hesitate to ask. There are 16 Town players, 4 Mafia players, and 1 Third Party Player. Littlefinger's identity will be revealed at the start of the game; his win condition remains hidden. He is not allowed to reveal his win condition under any circumstance. 3. Acrofales, Cersei Lannister, Mafia Roleblocker was modkilled day 3. 4. Mattchew, Lysa Arryn, Town Jailkeeper was hacked to pieces night 3. 5. Oberyn, a Stark Bannerman was hacked to pieces night 2. 7. SamuelLJackson, Syrio Forel, Town Vigilante was hacked to pieces night 1. 9. Jitsu, a Stark Bannerman was stabbed in the back night 4. 11. MrZentor, Berric Dondarrion, Town Vigilante was run through night 2. 13. Nicolas, a Stark Bannerman was modkilled day 1. 14. Risen, Jory Cassel, Town Detective was lynched day 2. 17. 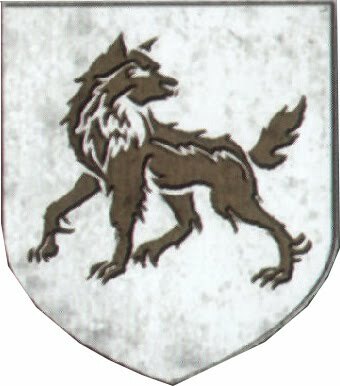 GreYMisT, a Stark Bannerman was lynched day 4. 18. DoYouHas, a Stark Bannerman was hacked to pieces night 1. 19. sinensis, a Stark Bannerman was hacked to pieces night 4. 21. layabout, a Stark Bannerman was lynched day 1. Hello and welcome to A Game of Thrones Mafia! 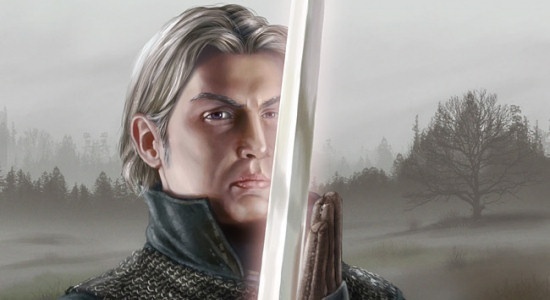 You are Arthur Dayne, the Sword of the Morning, Town Vigilante. You win when all the Mafia have been eliminated. You are a Stark Bannerman, Loyal to the Realm, Vanilla Townie. You have but your voice and your vote. very interesting. A Song of Ice and Fire = GOAT series! PGO in the game, brace yourselves, whine is coming. As I haven't played before, can I sign up? Or should I start with a newbie game? I need a replacement for a newbie game if you want to fill in! Updated OP, Roleblocks negate PGOs. Feel free as long as you stay active and interested. Can you play in this game without having read or watched A Game of Thrones? Of course, this is a Mafia game still and requires no knowledge of the source material. You may get spoiled on events that occur in the first book though. I will try to keep it as spoiler-free as possible but the nature of the setup inevitably will have some. Thanks prplhz for asking that question. I'm a lurker to the team liquid forums, but the Game of Thrones theme caught me eye. when will this game start? I expect it to take a while to fill up since there are multiple games in progress at the moment but we'll start when it's full. Likely will be around when Protact's game ends but may be earlier. I wanted to join a normal mini but as there are no normal minis and won't be for the next few weeks I might as well join this one. Edit: Isn't the jailkeeper someone who locks someone up for the night protectiing them for whatever? In your description it says it protects from 1KP + RBs the guy but shouldn't it be "protects from multiple KP + RBs the guy" ? <Elem> >toad in charge of judging lewdness <Elem> how bad can it be <Elem> also wew, that is actually p lewd.